Your State Senator & State Representative Wants to Hear from YOU – Tell Them Texas Needs Modern & Secure Elections! Click below to send your elected officials an email! 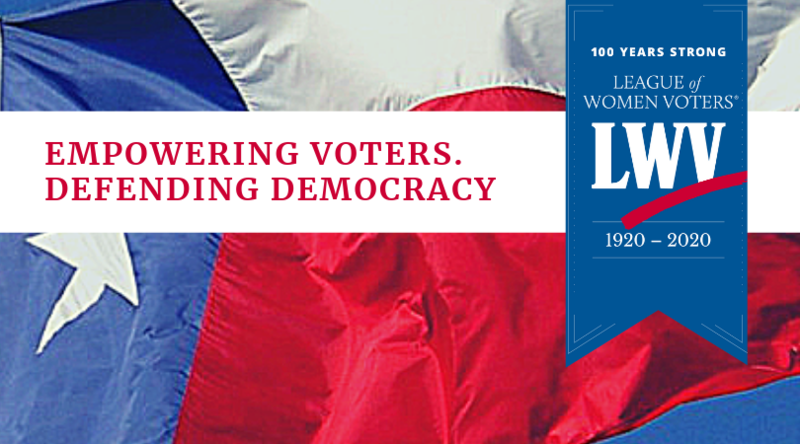 The Time is NOW to Modernize Texas Elections! Texas Association of Counties Supporting county officials and counties through a variety of services designed to help county government function more efficiently and better serve Texans. Texas Association of Elections Administrators The purpose of the Texas Association of Elections Administrators (TAEA) is to promote the efficient integration of voter registration functions with the actual conduct of elections and to ensure that voter registration, voting, and vote tabulation are all carried out in accordance with the highest legal and ethical standards. Texas Conference of Urban Counties The Texas Conference of Urban Counties is a non-profit organization composed of 37 member counties. Member counties represent nearly 80% of the population of Texas. The Urban Counties supports and coordinates communications among member counties, studies policies and programs of the State of Texas that affect urban counties, advocates county issues, primarily at the state level, and provides training and education programs appropriate for urban county officials. All services and activities are pursued for benefit of the people of Texas. County And District Clerks Association of Texas The Purpose of the Association shall be to promote professional standards, to provide a means for the education of its members regarding the statutory and constitutional duties of the offices of the County Clerk and the District Clerk, and to participate in the legislative, judicial and executive processes of state government beneficial in the performance of the members' duties. Texas Secretary of State The Secretary serves as Chief Election Officer for Texas, assisting county election officials and ensuring the uniform application and interpretation of election laws throughout Texas. PEW Charitable Trust The Pew Charitable Trusts is driven by the power of knowledge to solve today's most challenging problems. Pew applies a rigorous, analytical approach to improve public policy, inform the public and invigorate civic life. The Annette Straus Institute The Annette Strauss Institute envisions a democracy where all citizens are informed, vote, and are actively involved in improving their communities. Through nonpartisan research, education, and outreach, the Institute seeks to understand and overcome obstacles to civic engagement. National Conference of State Legislatures NCSL is committed to the success of all legislators and staff. Our mission is to: Improve the quality and effectiveness of state legislatures. Promote policy innovation and communication among state legislatures. Ensure state legislatures a strong, cohesive voice in the federal system. LULAC The Mission of the League of United Latin American Citizens is to advance the economic condition, educational attainment, political influence, housing, health and civil rights of the Hispanic population of the United States. Mi Familia Vota Mi Familia Vota Education Fund (MFVEF) is a national non-profit organization working to unite the Latino community and its allies to promote social and economic justice through increased civic participation. NAACP The mission of the National Association for the Advancement of Colored People is to ensure the political, educational, social, and economic equality of rights of all persons and to eliminate race-based discrimination. The Southern Law Poverty Center The SPLC is dedicated to fighting hate and bigotry and to seeking justice for the most vulnerable members of our society. Using litigation, education, and other forms of advocacy, the SPLC works toward the day when the ideals of equal justice and equal opportunity will be a reality. The Texas Civil Rights Project TCRP) mission is to promote racial, social, and economic justice through litigation, education, and social services for low/moderate-income persons least able to defend themselves. TCRP strives to foster equality, secure justice, ensure diversity, and strengthen low/moderate-income communities in Texas. In Part 1, the sponsoring organizations welcome the audience and introduce themselves. In Part 2, Nancy Abudu, Director of Legal Operations, ACLU Florida, talks about a variety of voting issues and cases that the ACLU has been engaged with. In Part 3, Chad Dunn, Chief Plaintiff's Litigator, Texas Voter ID Case describes his experiences in Texas fighting for voting rights. In Part 4, Cassandra Champion, Staff Attorney, Texas Civil Rights Project discusses her voting rights challenges, focusing especially on the "Motor Voter" Law in Texas. 9 States Besides Texas That Are Making It Harder for Women to Vote; The GOP's campaign for strict voter ID laws is affecting another voting bloc.